Institute for the Fiduciary Standard says the SEC believes "conflicts are routine and acceptable not inherently inconsistent with providing objective advice. 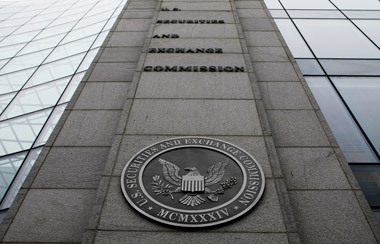 Backers of a tough fiduciary standard for brokers remain skeptical that the Securities and Exchange Commission can deliver such a rule, as comments made by former and current SEC officials appear to signal a forthcoming watered-down disclosure-based standard that tolerates conflicts. In the paper, Rostad concludes, in part, that “no consideration” has been made “for what is in the client’s ‘best interest,’” and that “disclosure is deemed the relevant treatment” for how advisors should fulfill their fiduciary duties. “Recent SEC decisions, statements from senior staff and commissioners and statements from former SEC staff and commissioners provide bold lines of a clear picture as to the SEC’s view of the duty of loyalty,” the expert said in the group’s report. Rostad also points to failed attempts by former SEC Chairwoman Mary Schapiro to bring a fiduciary rulemaking to fruition in 2009; Schapiro was unable to secure enough votes to get such a rule passed. Barbara Roper, director of investor protection for the Consumer Federation of America, agrees that, like Schapiro, White faces a polarized commission, and that the “real question” in seeing a fiduciary rule through to fruition is whether White can find the three votes needed to pass a “strong, pro-investor rule and whether she can find a way to do that under the auspices of Section 913” of Dodd-Frank. White’s strong support for a fiduciary rulemaking “is an important step forward,” Roper notes. However, she adds that getting such a rule passed – though “possible” — will be challenging. The “meaning” of Riewe’s “plainly written analysis is clear: disclosure, in and of itself, equals putting the client’s interests first, ahead of the interests of advisors,” according to Rostad. The former chief counsel at the SEC’s Division of trading and Markets, David Blass, also stated in an April 2014 speech, that he didn’t believe “the advisor fiduciary duty is higher than suitability,” the standard that brokers operate under, the non-profit’s report notes. The Division of Trading and Markets “is helping to lead the fiduciary duty discussion within the SEC,” Rostad said. What’s more, two former SEC regulators, Troy Paredes, former Commissioner, and Robert Plaze, former deputy director of the agency’s Division of Investment Management, pointed to what they viewed as the “small difference between suitability rules [that brokers adhere to] and potential uniform rules under Dodd-Frank, by noting that only ‘2%-3%’ of enforcement cases turn on the difference between the two standards,” at TDAmeritrade’s (AMTD) Fiduciary Summit in the fall. Indeed, James Shorris executive vice president and deputy general counsel at LPL Financial (LPLA), opined at a recent Insured Retirement Institute conference that a fiduciary rule by the SEC would not impose the same fiduciary requirement on brokers that advisors adhere to.